The Stafford Stamp Show is the Major Stamp & Postal History fair in the Midlands with 50 national and international dealers attending you can view details of the dealers attending by following the dealers link above, the photo of the venue on the right is the Ingestre suite at the Staffordshire Country Showground and the location can be seen by following the links above, the location link takes you to the Showground website where you can view all the activities of the showground and the location with views of the Ingestre Suite or alternatively view the location map below. Our other stamp fairs in the Midlands and Cheshire can be viewed in the same way by following the links. We welcome you to visit our stamp fairs and in particular the Stafford Stamp show where we hope you can find some of the items you are looking for. Feel free to contact us for any other information you may require. 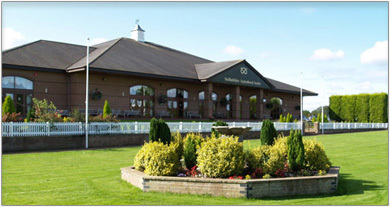 The Showground is situated on the A518 Stafford to Uttoxeter Road. From M6 Jctn 14 follow AA and Showground signs. comfortable chairs and carpeted floor. Easy Access FREE Admission & Ample Free Parking. Stafford Railway Station is situated on The West Coast Line with direct services from London Euston, Birmingham, Liverpool, Manchester and Scotland. The Station is approximately 3 miles from the Showground and has a Taxi rank outside. Refreshments available for both days. Uniformed and Plain Clothes Security in force 24 hrs.